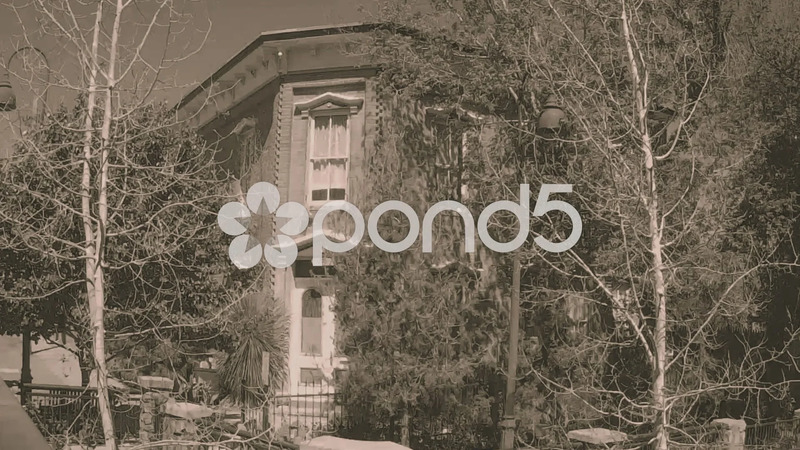 Description: Shot of an authentic Old West boarding house in Silver City New Mexico - Sepia Tone. A tall red 2 story home once served as a place where a weary traveler could rent a room for the night. Part of a series of clips by ChromaVid featuring residential and neighborhood stock video.